'Dance Plus' 2017 Season 3 is an Upcoming Dancing reality serial which is launching soon on Star Plus Tv channel.This shows produced byVarun Trikha Productions. 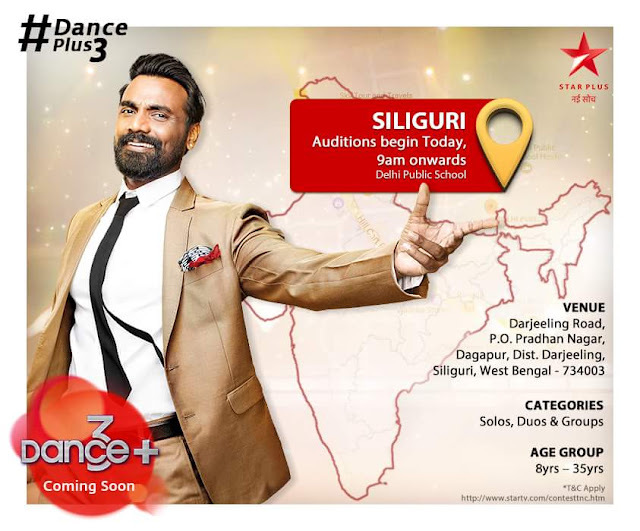 Season 2 of Dance Plus started on 2 July 2016. Tanay Malhara of team Dharmesh won Dance Plus Season 2 title. Dance+ Season 3 is an Indian reality television dancing competition.The stage interestingly will be an open forum for solo performers, couple and groups; the only requirement is the passion for dance!